How is the Damon system different from traditional metal brackets? Unlike traditional metal brackets – which are tied with elastics – the Damon System uses a self-ligating clip that is built into the bracket and holds the wire in place. This innovative technology results in less friction and creates a more comfortable experience for our patients. Can adults wear metal brackets? Yes, of course. The Damon system works for kids, teens and adults. Do I need to change my diet to accommodate braces? Being on a diet is never fun, but with braces, it isn’t that hard. Rather than avoiding foods based on things like calories and carbs, you are avoiding items that can damage your braces. Luckily, this leaves a lot of options on the table. The most restrictive time is right after your braces are placed. This is because your teeth will be sensitive to bite pressure right after the braces are on. This lasts for about 5 days and during this time you should only eat items easily mashed with a fork. Pancakes, oatmeal, bananas, egg, soups, yogurt, cooked vegetables, applesauce, mashed potatoes, mac & cheese, and soft ice cream are some options you have during this time. If you are craving a problem food, you might be able to find a way around it. For example, you can eat corn off the cob and veggies can be steamed to be softer. However, be certain not to take any risks or it can compromise the results of your treatment. How should I brush my teeth with braces? With braces, a lot changes. Among the things that will change are how you brush and floss your teeth. Let’s take a look at how your habits will change. If you are already using proper brushing techniques—45-degree angle, two minutes minimum, reaching all surfaces—you won’t change much. The main difference is that you need to use a soft-bristled brush in order to avoid damaging your appliance. If you are a rough brusher, you will need to let up on the pressure you apply as well. Beyond that, it stays pretty normal. Flossing is a bit harder with braces. The archwires prevent you from simply starting at the bottom of your tooth and working your way up. Instead, you floss at the bottoms, then you thread the floss through your archwire and floss all the way up to the gumline along the edge of the tooth. If you struggle doing this, you can use a tool called a floss threader to get it done. If you are ever unsure about anything related to your care, simply give us a call. We are always happy to answer your questions. 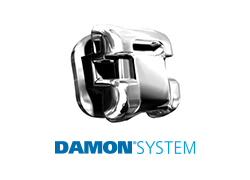 To learn more about the Damon System, visit their website or call our office at 212-755-2333.